Snowflakes fascinate me and I often create designs of snowflakes. This is a card with a snowflake design I made by welding together six copies of one shape. Can you see the original shape? 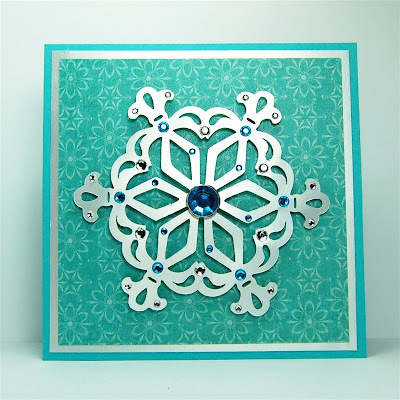 You can read all about the process for making your own snowflakes at THIS POST. We will be totally caught up in the last minute preparations, travel and then our son's wedding so for the next few days I'll be posting some links to some favorite projects and posts that address topics that I am asked about frequently. I'll update with wedding photos when I can and will be back to a more normal routine after the first week of September. Thanks to everyone for all of the wedding good wishes. Hey Diane, It's your snowflake fanatic follower. I just saw the image on the dashboard of your card and pounced on this one. I'm so ready to see some more of your wonderful snowflake creations. It's time! Clever way to make a snowflake.